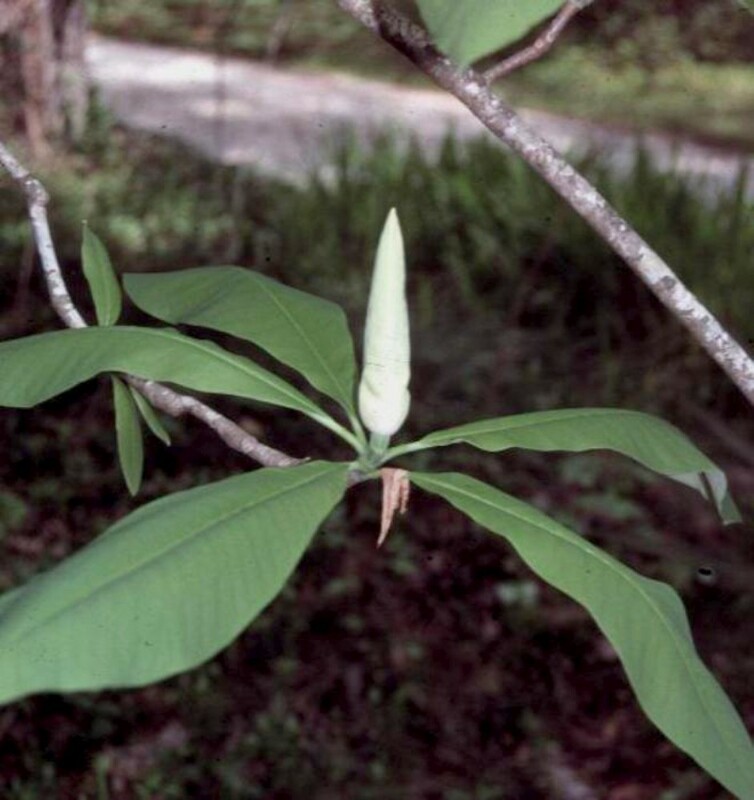 Comments: Umbrella magnolia has large diamond-shaped leaves that are crowded near the tips of the branches. The creamy white flowers may have a disagreeable odor up close, but is very pleasant at a distance. Does best when used in a woodland edge or other naturalistic setting.